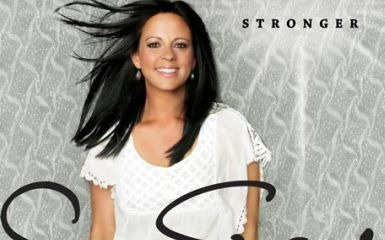 Interviewing Sara Evans & a “Stronger” Giveaway! I know this might be an uncomfortable topic for some of you, and I hate controversy. But I can’t go by another day without saying it, so I’m just going to say and hold my head up high: I listen to country music. I had the amazing opportunity to interview country music star Sara Evans this past Monday. She was so lovely and gracious and I was a fumbling idiot saying ‘um’ way too much. But if you would like to see the telephone interview video, please feel free to have a laugh at my expense. I won’t be giving up my day job. what a fun giveaway. I love her music. I adore country music and I say loud and proud! Thanks for interviewing Sara, I can’t wait to hear it! Thanks also for the chance to win her album, I would be thrilled! Hum….I can’t access the video (it isn’t showing in your blog at all) or the Raflecopter giveaway, please help! I LOVE LOVE LOVE LOVE Sara Evans!!! I have seen her in concert a couple of times and she is soooo great! So glad she has a new album coming out! I think country music is very American, even if alot of people don’t make the connection. I love Sara Evans…..keep singing! Thanks Heidi!!!!!! I love country music because it reminds me of my childhood at my uncle’s house. I am very picky about my country music, but Sara, I love! I would love to win her album, I also love country music! What a wonderful thing to quilt by…. beautiful music! I love country music – love some of the stories/messages in the songs. I am also a country music fan. It is what I primarily listen to when I have radio control. I love country music!! It’s more wholesome and just plain good music! I love country music and would love to win!! Thanks for the chance! I love Sara Evans! She has a great voice. I would love to win this album! I love country music too! I’m a cowgirl at heart and I love that I can crank it up and sing along to every song as I drive home from work.